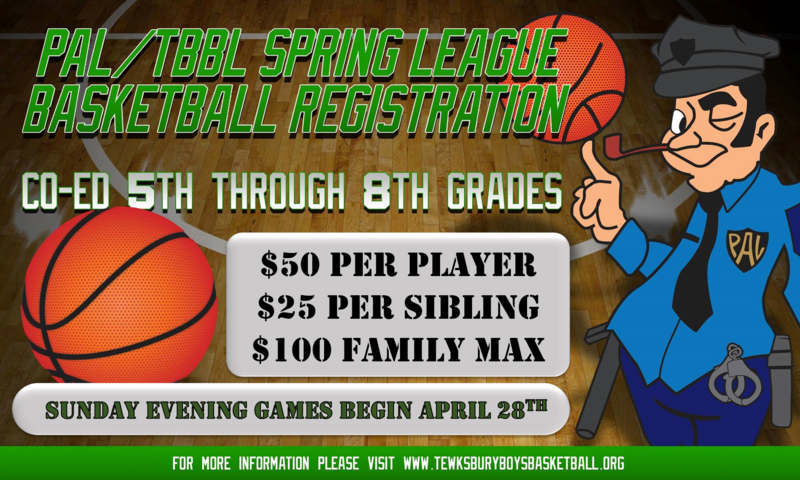 TBBL has partnered with the Tewksbury Police Athletic League to bring back spring basketball! Teams are co-ed and mixed grades (5 - 8). Games will be played at the Ryan School on Sunday evenings starting April 28th. There will be no game on Memorial Day weekend.